It’s a long road from those Five Rivers hills to Nashville, Tennessee, in more ways than just miles, but I finally made it. I mention Nashville because it’s the biggest highlight of my career, and I was asked for personally by the greatest of them all, Johnny Cash himself. It was 1951 when the lines were strung and electricity came into Five Rivers, so up until then all the radios were battery operated. We always made sure we had a well charged battery for Grand 0l’ Opry night. 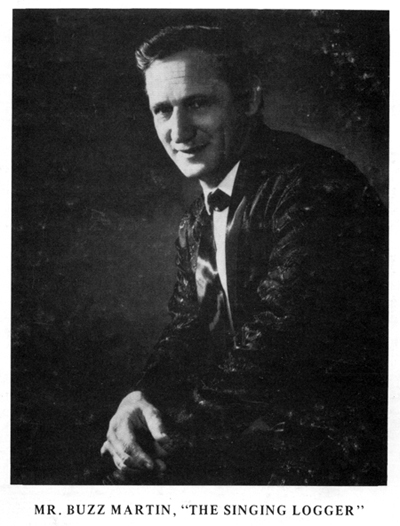 I’ve always been kind of a dreamer, and I’d sit there and dream of stepping out on the stage of the Old Ryman Auditorium. Well, I finally found that big opening I’d been searching for. This inadequate means of communication we use, called the English language, doesn’t contain the words I need to express what I feel inside toward everyone who has helped me along the way. There isn’t enough space to name all my friends and family, and the multitude of strangers I’ve met, who have become friends. Sure, Nashville was great, and a dream come true, but when I step out on a stage of an auditorium full of loggers and mill workers, there is a common bond between us that I can actually feel in the air. I’ve had so many people ask me when are you going to record something besides logging songs. Well, this is what we’ve done on this album. We hope you like at least a couple of them. Recorded at Ripcord Recording Studio, Vancouver, Washington, using Ampex AG 440-8 and AG 440 -4 recorders, Neumann and RCA microphone systems, and a Langevin 12 channel mixing console. Produced by Bob Blum and Rick Keefer. Photos by Kent Smith. I was Buzz’s son in law for 25 years. I was his lead guitar player, in the family band, Chips Off The old Block from 1969 to 1976. I was married to his daughter, Cindy. We had 2 children, Russ, 38 and Kristina, 36. I have had my own independent recording studio, Bluewood Recording Studio, for the past 12 years. I live in Albany, Oregon. Thanks for your time. ROD WILSON. 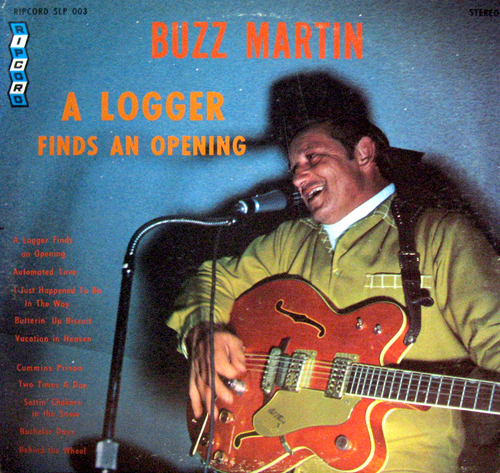 I was Buzz’s best buddy on those long lonely logger nights. We split some logs… yea.